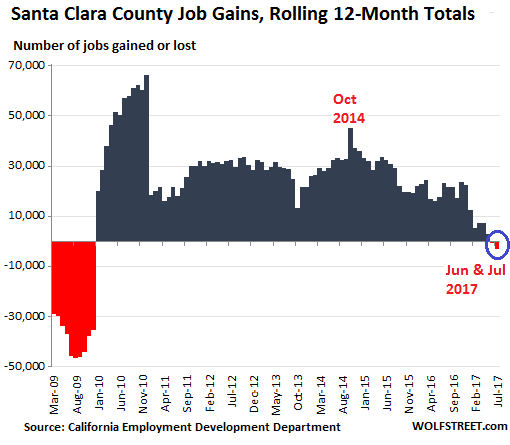 Ludicrously high home prices hit end of the employment boom? Lack of inventory for sale. This was the top reason for 30% of brokers. The math is starting to bite: more people are stuck in their homes as prices have soared all around, and as mortgage payments needed to finance an equivalent or nicer home have moved out of reach. Declining housing affordability and ‘high interest rates’ – which are near historic lows! – was cited by 28% of brokers. ‘Inflated home prices’ and ‘housing bubble’ were cited by 25% of brokers. This post was published at Wolf Street on Aug 24, 2017. Has The Fed Completely Lost Control?